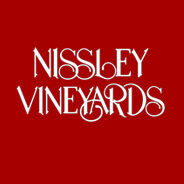 “EHD has provided brokerage services to Nissley Vineyards for most of the 36 years that we have been growing grapes and retailing our wines. Mainly, we have relied on their expert advice for property, liability and workers comp coverage. When we experienced a devastating fire at the winery in 2006, EHD was in touch with us immediately and guided us through the issues pertaining to reconstruction. With the more recent passage of the Affordable Care Act, we needed a knowledgeable team who could keep up with the myriad of changes under the Act. Accordingly, we switched our health insurance account to EHD. Their attention to our needs has been impressive. Questions that formerly would have required a week for response by a different broker are now answered within a day.